Dr. Mustafa Ceric, Reisu-l-ulema: What do we dream about in this blessed night of Leiletu-l-kadr? God, we dream of a world in which the Sun will warm us and the Moon will watch us, the stars will follow us, the mountains will love us, the seas will carry us, the winds will hug us, the rains brings us cheer, and the nights give us rest and the days waken us. We dream about the world in which there will be no fear from the mightiest earthquake of the Earth from the horrible weapon which man has invented in order to destroy himself. We dream about the world in which there will be no war, genocide, refugees, orphans and homeless. 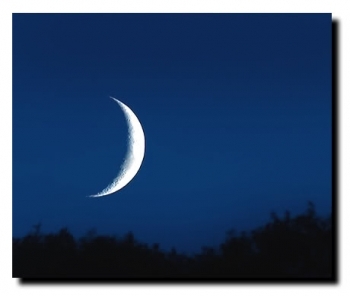 On Tuesday night, September 15, is the blessed night of Leiletu-l-Kadr. In this blessed night, in the Sarajevo’s Gazi Husrev-beg mosque, a celebration will be held following the Teravih prayer. Shayh Muhammad Mutevelli, karya from Egypt, hafiz Mensur Malkic, hafiz Burhan Saban, together with Hamza Lavic will take part in the ceremony. Prof. Dr. Enes Karic will deliver sermon. At the end of the programme Reisu-l-ulema Dr. Mustafa Ceric will deliver a word and a kadr prayer. 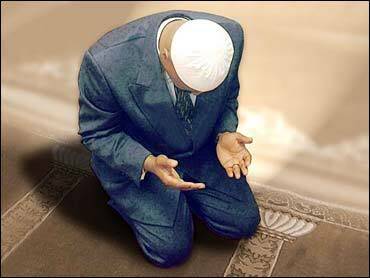 Allah the Eminent says that this night, leiletu-l-kadr, is better than a thousand months because in this night the heavens open so that the Earth can see where its place is. Because Levh-i-mahfuz opens for man to realize who and what he is. Because angels and arch-angel Gabriel descend for every thing. Because in this night each and every thing is discerned and put into its place. Because in this night a pen began to write and because in this night the word began to read. Because in this blessed night Allah dz.s. 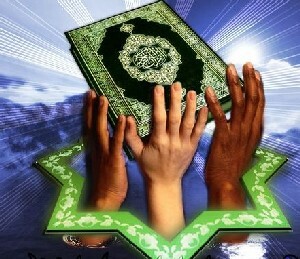 proclaimed the eternal book, the Holy Qur’an in which truth is separated from lie, in which justice is promoted and injustice sanctioned, in which it is promised that good will be victorious and evil will be defeated. Does the Earth listen to the voice from heaven which says that it would not be that what it is it if had not been for the heavens adorned with galaxies, and the Sun and its light, and the Moon which follows it, and the stars which shine in the darkness, and mountains which appear immovable yet they move as well as clouds move, and if it had not been for the seas upon which vessels resembling mountains sail, and if it had not been for the winds which pollinate, and the rain which revives, and if it had not been for the night that spreads dark and the night which dawns – the Earth would not be what it is. Does the Earth know what it will be when the heavens open and listen to their Master, and when the Sun loses its brilliance, and when the Moon splits, and when the stars fall, and when the mountains move, and when the seas fill with fire and flow into one another, and when the Earth stretches and shakes with a thunderous earthquake, and when it expunges its heavy load and when man cries: “What is happening? !” On that day the Earth will announce its news! Does man learn in the name of his Lord that which descended in the night of Kadr from Levh-i-mahfuz in order to teach him that he would not be what he is if he had not been created out of tissue, that he is not created out of liquid which is expelled, which flows out between the backbone and the chest, that he would not be what he is if he had not been created out of a blend of seeds so he can hear and see, that he would not be what he is if he had not been created to labour, that he would not be what he is if he had not been created at the right time and erect. Does man learn in the name of his Lord that which descended in the night of Kadr from Levh-i-mahfuz in order to teach him that he would not be what he is if he had not been created out of tissue, that he is not created out of liquid which is expelled, which flows out between the backbone and the chest, that he would not be what he is if he had not been created out of a blend of seeds so he can hear and see, that he would not be what he is if he had not been created to labour, that he would not be what he is if he had not been created at the right time and erect. Has man learnt that he is a loser unless he believes and does good deeds, and if he speaks properly and recommends it to others, and if he persists in good deeds and recommends it to others. Does man think that his bones will not be gathered? Of course, even the tips of his fingers will again be created. Does he think that he is left to his own devices and will not be answerable? Was he not a drop of seed which gets inserted, and then tissue which Allah then determines the terms of reference for and creates his image harmoniously and from him creates two kinds, a man and a woman and is He not able to revive the dead?! Does man think that nobody can assail him? Does he think that nobody sees him? Had not Allah given him two eyes and two lips, and explained good and evil to him? And he thinks that his wealth will make him eternal? Does man believe in that which is announced to him by his Lord – to believe in Allah and His angels, and in His Books, and in His messengers? Does he believe that chastity is not in turn his face toward the East of the West, but that that a chaste man is he who believes in Allah, the other world, in angels, in books, in messengers and who from his wealth, although his wealth is dear to him, gives to his cousins, to the poor, to travelers and to homeless, and for freeing slaves, and who prays and gives religious dues, and who fulfills a duty when he commits to one, and chaste is especially he who is persists in poverty, illness and on a battlefield. That one can say that he is a true believer. He fears Allah and stays away from evil deeds. Does man know that Allah wants to make it easy for him as he was created as a weak being; does he know that he likes to curse and bless because he is hasty and that, more than anybody, likes to argue that which he knows nothing about. Does man know that he is created to hurry, that he is naïve and unjust toward himself, that he is truly ungrateful and when he feels blessings he is joyous but when a calamity strikes due to the deeds of his hands then man does not recognize blessings. Does man know that he is forgetting that which he ought to remember? Can he remember that which he ought not to forget? It is, therefore, that it was said to the pen to write down the word which started to descend in the night of Kadr so that man could not have justification and say that he did not know because he lost the word. It is therefore that Qur’an is written in the clarity of the Arabic language so that man could not say that the word is not clear to him. That is why Qur’an is the book which reminds and of which we are reminded by constant reading so that man could not say that he had not heard God’s word. What had Muhammed a.s. dreamed about, in the night of Leiletu-l-kadr?! Muhammed a.s. dreamed about a world in which man will not be lost, forgotten, defeated, demeaned. Muhammed a.s. dreamed about a world in which people live who have been created of one woman and one man, of which peoples and tribes were created in order to get to know and recognize one another and among which the most noble one is the one who fear God the most. God’s Messenger dreamed about the world in which people will support the good and condemn the evil. What do we dream about in this blessed night of Leiletu-l-kadr? God, we dream of a world in which the Sun will warm us and the Moon will watch us, the stars will follow us, the mountains will love us, the seas will carry us, the winds will hug us, the rains brings us cheer, and the nights give us rest and the days waken us. We dream about the world in which there will be no fear from the mightiest earthquake of the Earth from the horrible weapon which man has invented in order to destroy himself. We dream about the world in which there will be no war, genocide, refugees, orphans and homeless. The world in which rights of each individual and of all people will be respected. The world in which there will be no lies, blood, immorality and hopelessness. Tonight we dream to see the world in which the sick can find medication, the elderly and powerless can have love and care, the poor can receive assistance, the orphans can have protection, the homeless can have their home and the refugees can have happiness in their homeland and on their doorstep. Lord, we pray to You with the respect of this blessed night that You heal our family and friends if they are ill, if they owe to help them pay the debt, if they are sad that You bring them back their smiles upon their faces and in their hearts, if they are poor that you relieve them of poverty, if they have been demeaned that You give them back their dignity, if we have hurt them to have them forgive us, and if they have hurt us, Lord, make it easier for us to forgive them with the respect of this blessed night! God, we ask for Your direction to bring together our hearts, to get us closer and unite us and that You bring again our mutual trust! We pray to You, Lord, that You strengthen our belief, that You protect the absent and propel the present, that with Your mercy You adorn our deeds and wash our faces, that You inspire us with Your goodness and protect us from all evil! Lord, we pray to You that we pass the exam and that we find ourselves in the company of Your chosen ones – shahids, the ones who are happy, the ones who are in the company of messengers, those who are successful and have been redeemed! Lord, direct us upon the right path and make it so that we, too, direct others upon the right path with which You too are content. Lord, don’t have us be on the wrong path and don’t have us direct others upon a wrong path with which You are not content! Lord, give us Your steadfastness in our hearts and our souls; give us Your steadfastness in our ears and our eyes, in our feelings, our desires, our blood, our bones and in our hands. Let Your light shine on our right and left hand side, before us and behind us, above us and beneath us. Lord, let Your steadfastness be all around us so that we don’t buckle and kneel upon the path of goodness, peace, and happiness for us and for all people of goodwill. Lord, we seek good in Your knowledge and ask for power in Your supremacy, as You know everything and we do not. You can do everything and we can not. You know all the secrets of this and other world. Lord, You know that this what we aim to do is good for our religion, for our life and our death, so we ask You that You give us strength, that You make it easier for us to do it, and that You, Lord, bless it! Lord, let our last prayer be to thank You in every place and every gathering. Amen!